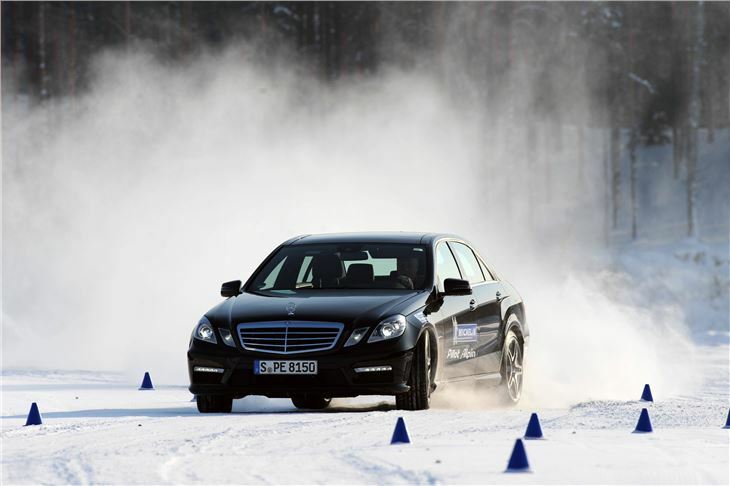 This is a winter tyre test with a difference. 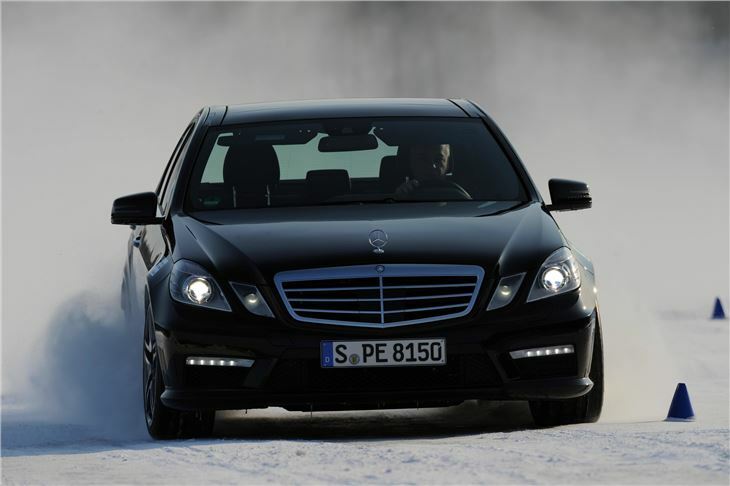 It’s a test of high-performance winter tyres, transferring as much as 525PS via the rear wheels, not to the road, but to snow. Normally a recipe for disaster. But with quite a lot of Northern Europe and Russia covered in the white stuff for months on end from October to March and more than a few high performance cars headed in that direction, performance winter tyres have become a necessity rather than a luxury. 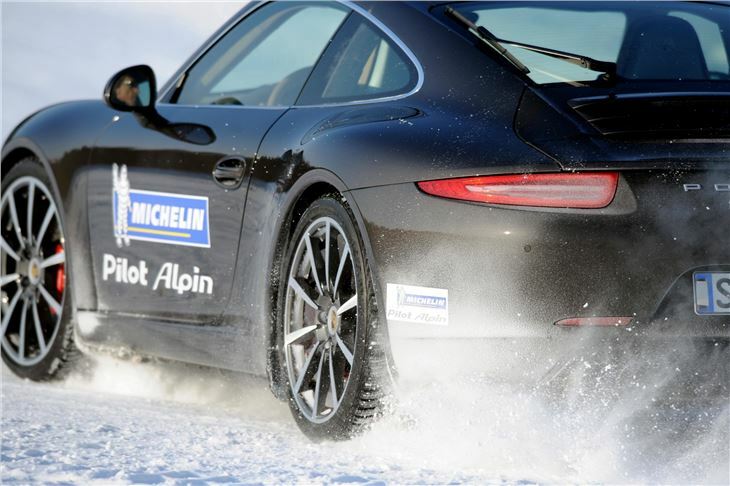 First off, Michelin’s new 295/30 R20 Pilot Alpin PA4s fitted to Porsche’s latest 3.8 Carrera S. So that’s 400PS from an overhanging pendulum of a rear engine through the latest Porsche PDK autobox onto the snow via the back wheels alone. Michelin had pitched its new tyre against Pirelli’s Sottozero, and its guys reckoned they were lapping 2 seconds faster. We weren’t allowed to switch the ESP off. So the trick was not to enter the corners too hard trying to drift like Clarkson on Top Gear. The smoother you went, the quicker you got round the track. First I followed another writer shod with the Sottozeros, and if I’d been stupid I’d have been right up his chuff throughout the lap. Then we swapped cars, he went first and I couldn’t get near him. Case proven. It’s all due to sipes, tread pattern and compound. A new innovation is an optimised, heavily grooved directional tread pattern with deep, variable angled interlocking sipes. So whatever the direction of the of the wheels in relation to the road, some of the tread and some of the sipes are always working to the maximum. Integrate that with a flexible rubber compound (called HelioCompound 3G) and we have what Michelin calls RIDGE N FLEX. Research shows that whatever reason drivers buy performance tyres for in the summer (primarily enjoyment), their main concern in winter is safety. 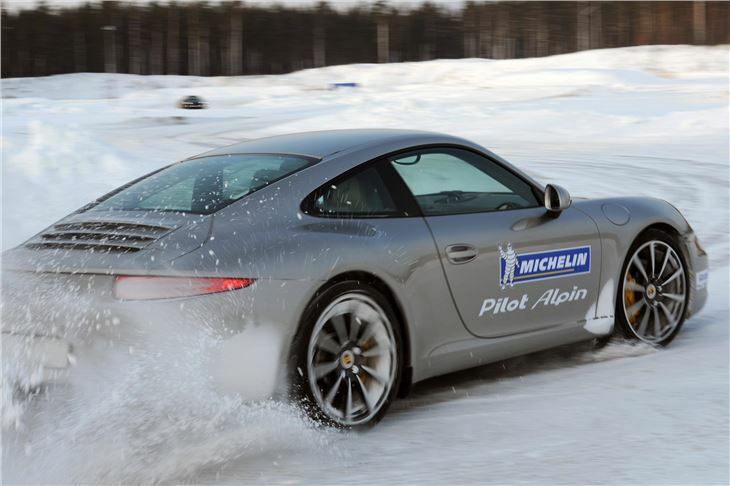 And this new Porsche with its intelligent ESP co-developed with the ‘N’ spec Pilot Alpin tyre was virtually uncrashable. You could still flick it about a bit. But as soon as you got yourself into anything approaching trouble, the ESP cut the power and the car and its tyres sorted themselves out. 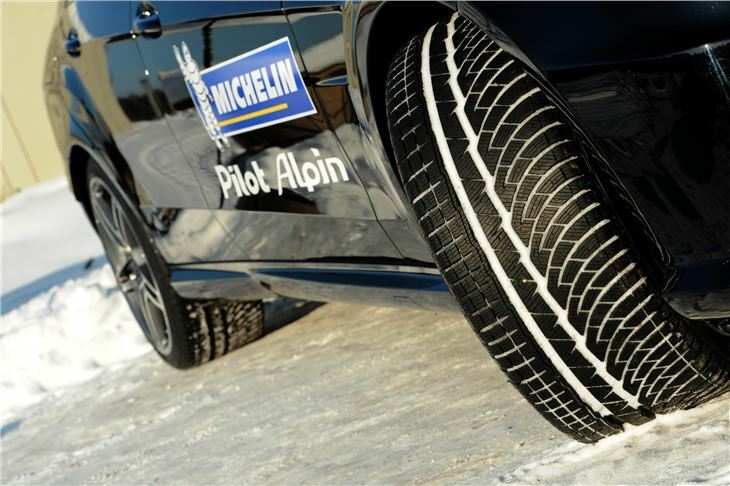 In tests conducted by TÜV SÜD in 2012 on 245/40 R 18 V tyres the Michelin Pilot Alpin PA4 was rated highest overall in terms of braking, traction, handling and grip when cornering on wet, icy and snow-covered surfaces compared with its main competitors. So, no need to lock the 911 away for winter. On Pilot Alpins you can take it out in any weather and still remain in full control: able to steer, brake and corner with no fear of sliding off the road or into another car. Next, braking. 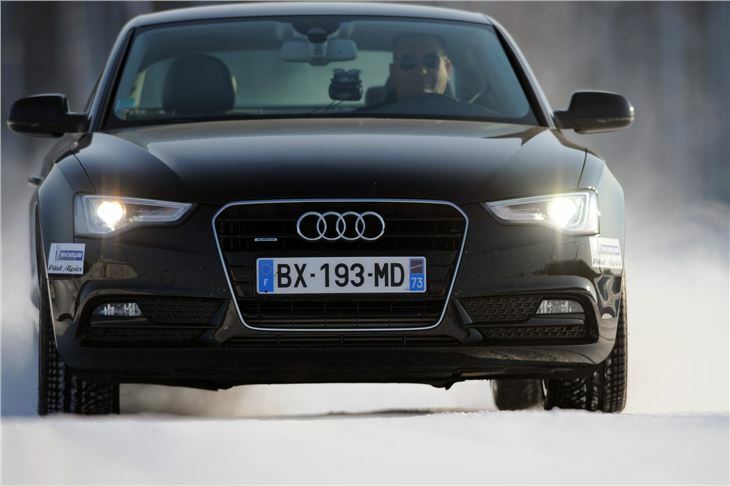 And in this test conducted in Audi A5 coupes on 245/40s, the job was to brake hard on hard packed snow from 60kmh. Needless to say, Michelin Pilot Alpin PA4s outperformed all the competition except for one tyre. But, of course, winter is not all about snow. 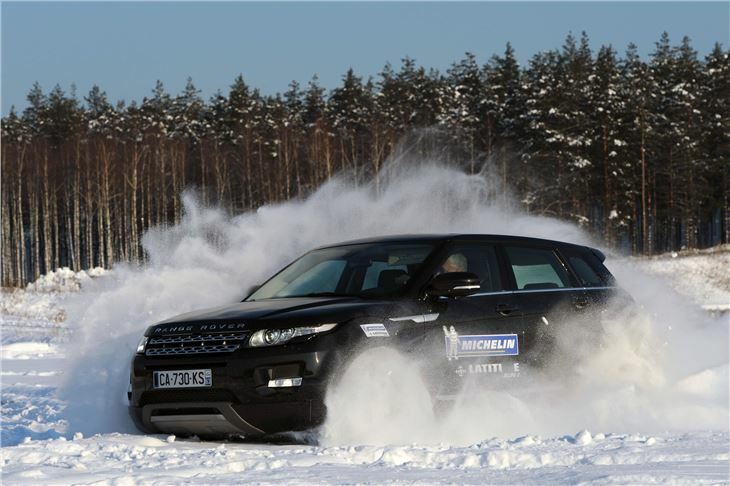 And in wet braking performance tests carried out by TUV, the Michelin Pilot Alpins out-performed all competitors, with the tyre that performed bets braking in snow actually performing worst in the wet braking test. On average, Michelin Pilot Alpin PA4 brake 2 metres shorter compared with its main competitors in Europe (when decelerating from 80-0 km/h). Tests conducted by TÜV SÜD in 2012 on 245/40 R 18 V tyres. 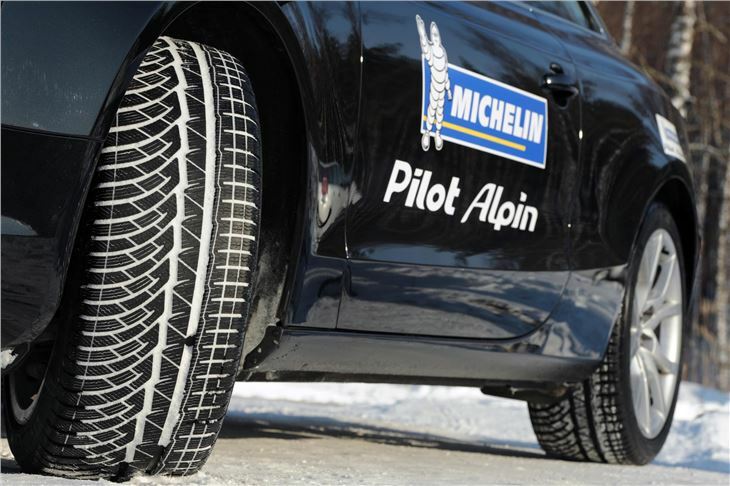 And, compared with its main competitors in Europe, in tests conducted by TÜV SÜD in 2012 on 245/40 R 18 V tires, Michelin Pilot Alpin PA4 sets the standard for grip when cornering in the snow and for handling on wet road and delivers outstanding traction on snow and ice. On to the slalom, driving in a 525PS Mercedes E63 AMG. We left all systems go and it was uncanny that after drifting in two different directions through the cones, we could aim the car precisely into a cone gauntlet barely wider than the car. Again, obviously, the car’s systems combined with the tyres, but the level of control on seriously slippery hard-packed snow was extraordinary. Lastly, on to the Latitude Alpin SUV tyres, in this case 235/60 R18s on Range Rover Evoques and a cross-country route through a pine forest. I’m fairly used to off road courses where dedicated 4WDs do incredible things, but Evoques are really ‘soft roaders’ and though the 4WDs have Terrain Control with a button for snow, and hill descent control, these were essentially road cars on road tyres. So the fact that they could get us through deeply rutted snow, slush and some interesting ascents and descents was seriously impressive. After Finland, Norway, Sweden, Czech Republic, Latvia, Slovenia, Estonia and Lithuania, Germany made winter tyres mandatory in December 2010. 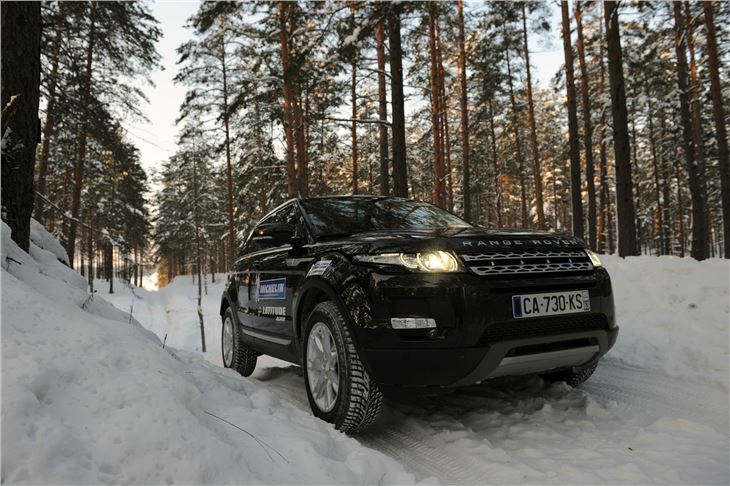 Winter tyres will also be mandatory in Luxembourg and Romania beginning in 2012. This is unlikely to happen in the UK, simply because we don’t regularly get enough snow over enough of the country. But when we get it, we’re useless and the entire country grinds to a halt. We arrived in Latvia in a snowstorm. Our plane actually landed on snow at minus three degrees centigrade. We were then packed into a reafr wheel drive Mercedes Viano on winter tyres, of course, and driven quickly through 15cm of snow in traffic to our hotel. Not a single car, truck or van was stuck stranded by the roadside. So, though many people think winter tyres are an overkill in the UK, they are a sensible precaution for the winter, even on high performance cars and especially on 4WD SUVs where the four-wheel drive alone won’t save you. Remember, winter tyres aren’t just to get you through snow. They are to make driving in snow and ice safer. So if we all had them through the winter there would be no more long waits at bodyshops getting bent cars repaired. 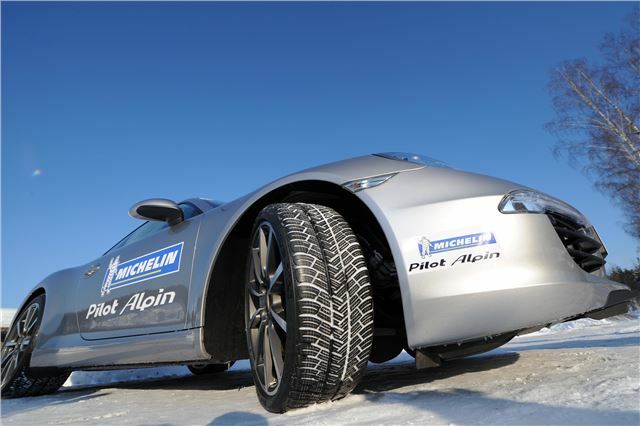 The new Michelin Pilot Alpin AP4 and Latitude Alpin tyres go on sale in May 2012.